Over the past 2 weeks, Palestine was thrust back into the international spotlight due to recent Israeli attacks in Gaza. Despite a ceasefire agreed to a few days after the start of the conflict on the 11th of November, there have still been several incidents of violence in Gaza since then. In fact, Israeli Defense Minister Avigdor Lieberman resigned because he thought Israel agreed to a ceasefire too quickly and should have done more against Hamas. Additionally, the incident that initiated this escalation was a botched Israeli raid against a leader of Hamas’ military brigade. As recently as November 23rd, Hamas published images allegedly depicting Israeli agents responsible for it and asking for information to help capture them. While the short-term future of the conflict looks bleak, there are rays of light on the horizon. When addressing the issue of Gaza, it is essential to view it in the contest of the past 10 years of Israeli operations and the blockade it has imposed. The recent violence is not the first that has occurred in Gaza. In fact, there have been several such incidences in which this has happened. When these ended, there were ceasefire agreements set into place which included for the Israelis to lift the blockade of Gaza that they imposed in 2007. Suffice it to say, they have not abided by this condition giving the lie to any pretense of self-defense on their part. Of course, no one can justify violence against civilians by any side under any circumstances. At the same time, we cannot blindly accept Israeli pretenses of victimization when they have Gaza under a severe chokehold both militarily and economically. Of course, no analysis of the situation between the Mediterranean sea and the Jordan River would be complete without mentioning the role of the United States. It is no exaggeration to say that Israel owes its continued existence and military preeminence to the blank check from the United States. To begin, Israel receives billions of dollars in military aid from the U.S. in all circumstances. In fact, even when Israel blatantly flouts the wishes and interests of the United States, the aide continues. Of course, no change of bad behavior can be expected from Israel under such circumstances. Israel will continues to starve and massacre the people of Gaza, usurp the land of Palestinians in the West Bank, undermine Palestinian heritage in East Jerusalem so long as it can expect a blank check from its indispensable ally. At the same time, there are rays of hope coming out of the United States. For the first time in a long time, there is a fracture in the bipartisan consensus of unqualified support of Israel with several new and outspoken members of Congress. For example, Alexandria Ocasio-Cortes (D-NY), who has become the face, of the progressive movement in the United States has openly condemned Israel for its murder of civilians in Gaza. That is not to mention the elections of Rashida Tlaib (D-MI), the first Palestinian Muslim woman elected to Congress, and Ilhan Omar (D-MN) who are open in their support of Palestinian rights. 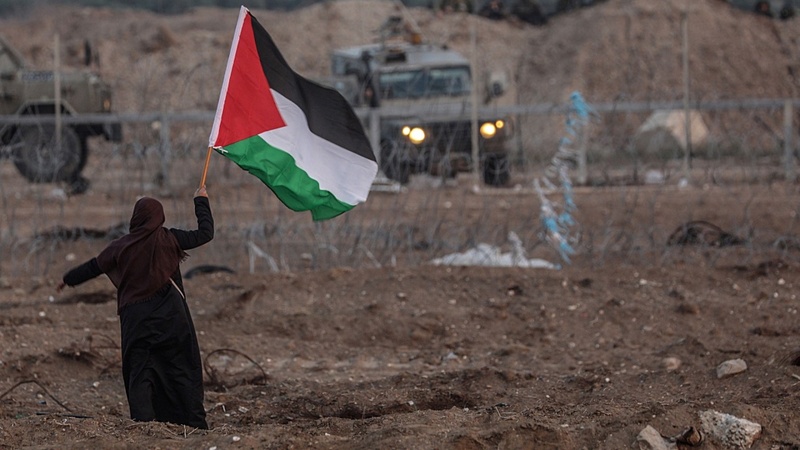 Without a doubt, the Israeli violence in Gaza is another reminder of a seemingly endless situation of if Israeli impunity against the Palestinians. For decades, it has relied upon unqualified American support even when it flouts the United States ostensible interests. In recent years, it has come under international pressure because of its crimes. Even in the U.S., the Midterm elections involved the election of several new members of Congress who openly criticize its misbehavior and while it retains its staunch support from the White House, Israel should pay attention to the effect that public opinion is shifting away from it, and sooner or later, this trend will translate into policy.